This morning, something happened that we can't expect. As Samsung was to pay Apple, Inc a sum of $1 Billion as per the orders of the court. Samsung did something really amusing. 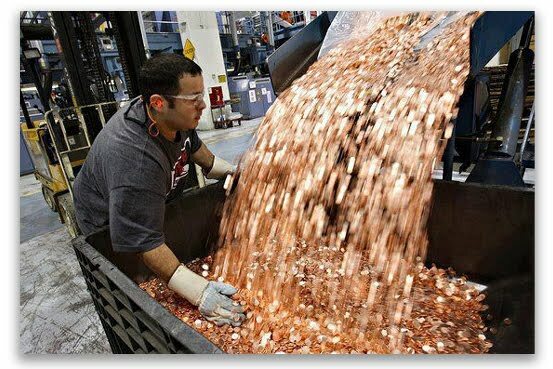 More than 30 trucks filled up with coins of 5 cents arrived at Apple’s headquarters in California today. At first the security at Apple headquarters said that they were at wrong address. But soon Tim Cook - Apple, CEO got a call from CEO of Samsung company stating that they will be paying the $1 Billion for the fine this way. Why Samsung did that is something that only the company can tell. But how they could do this is because the orders from the court regarding the fine that the Korean company had to pay to the iPhone maker company did not had anything mentioned about the method of the payment and thus the company was free to pay as they wanted. Meanwhile Google, the software partner of the Samsung company in the Galaxy series phones have also made a clear statement about. Google have said that, "Most Claims Don’t Relate to Core Android". This geek troll play had got a new headache to the Apple executives as they have to find some way out to count that much amount of coins whether it's complete. At the same time, Lee Kun-hee, Chairman of Samsung Electronics was spotted saying that if they (apple) wants to play dirty, than they (samsung) also know how to do it.